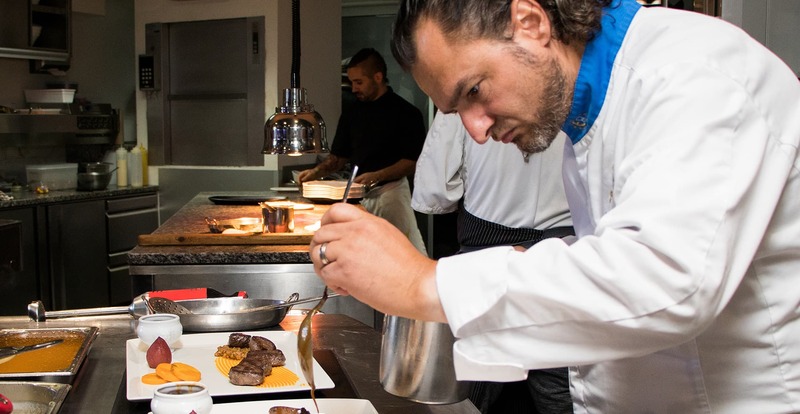 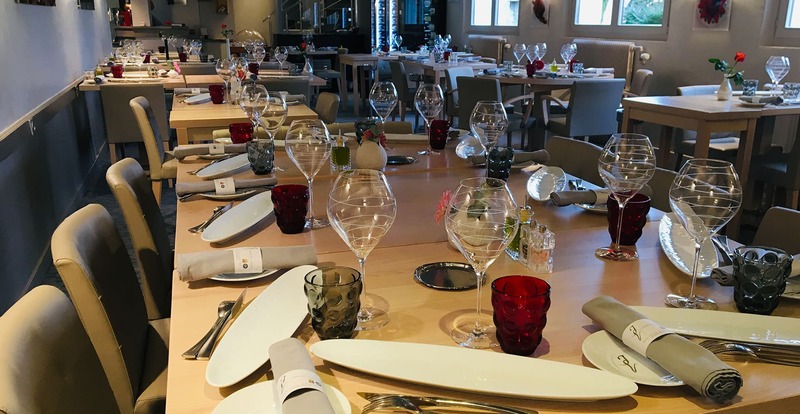 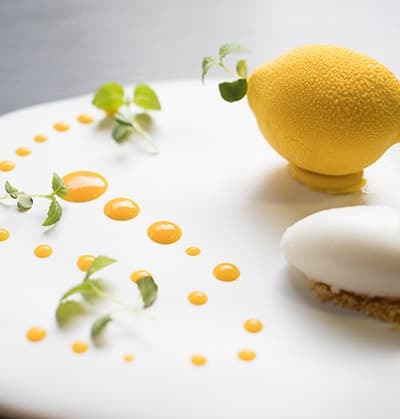 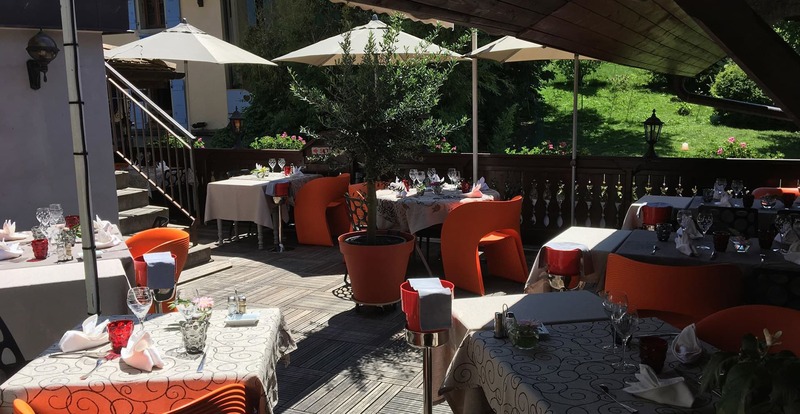 Les Jardins du Léman restaurant in Yvoire offers a contemporary and welcoming setting where you can enjoy traditional yet innovative cuisine using fresh, local home-made produce. 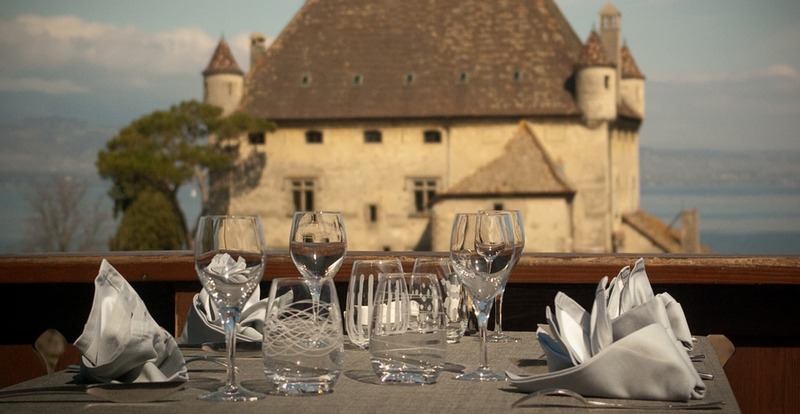 Located in the heart of the medieval village of Yvoire in Haute-Savoie, the restaurant offers a superb view of Lake Geneva from its panoramic terrace. 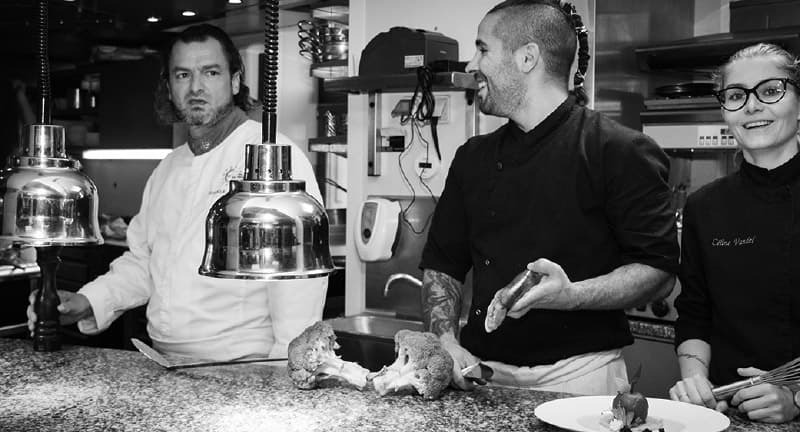 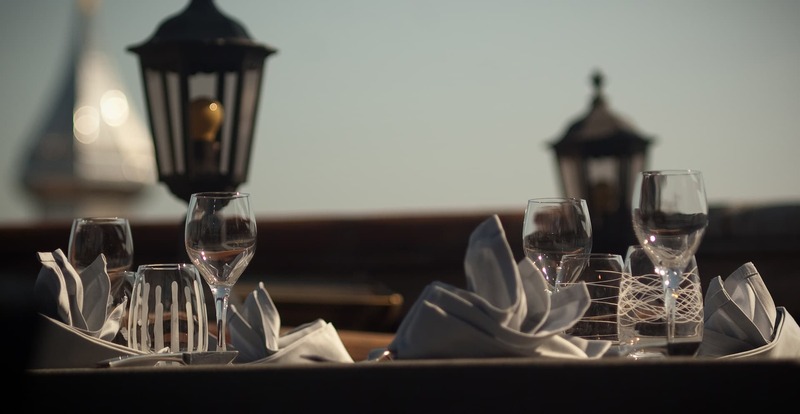 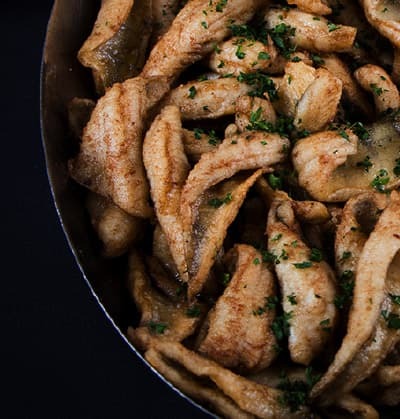 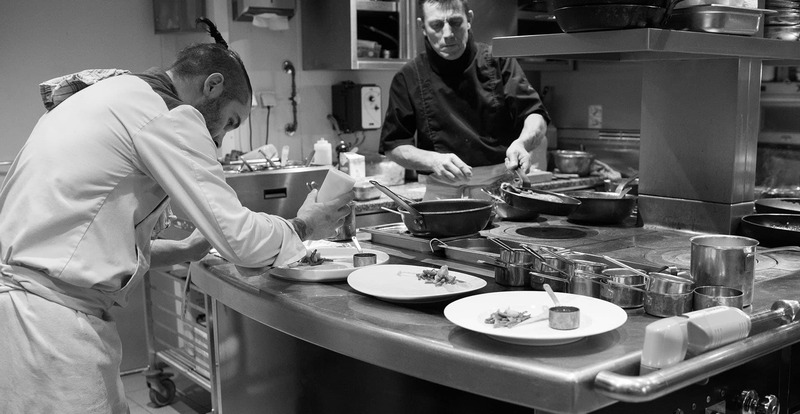 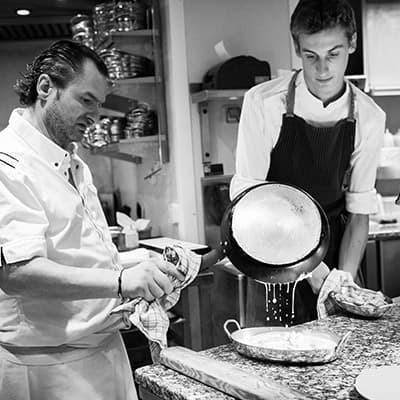 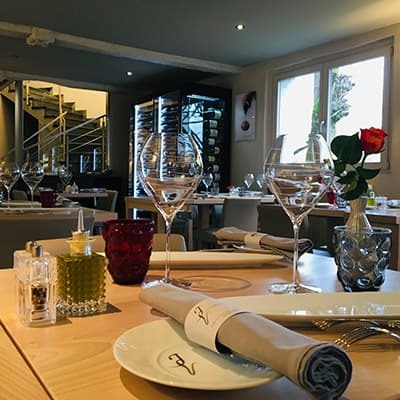 The owners Henrique and Valérie Aguzzoli offer an à la carte menu and set menus combining a wealth of fresh fish from Lake Geneva with Italian and Jura influences from their heritage! 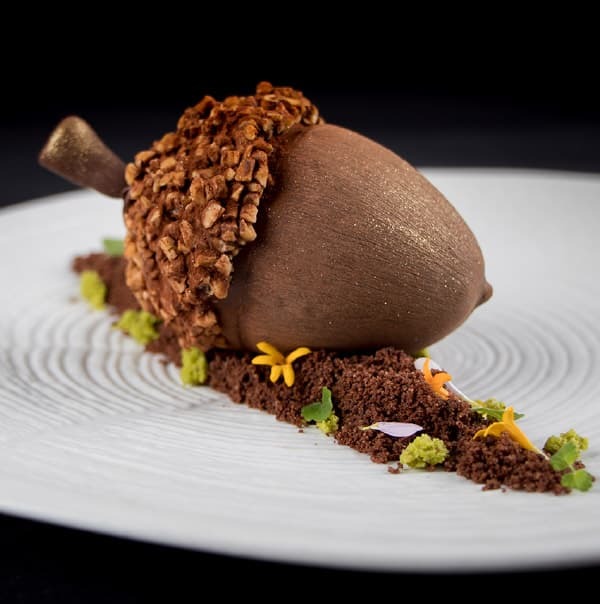 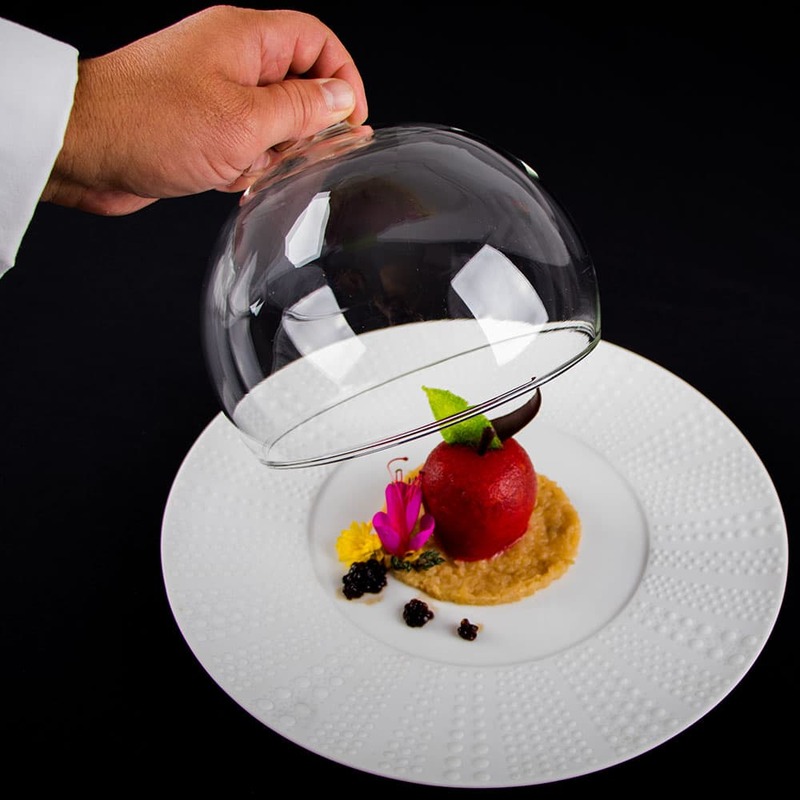 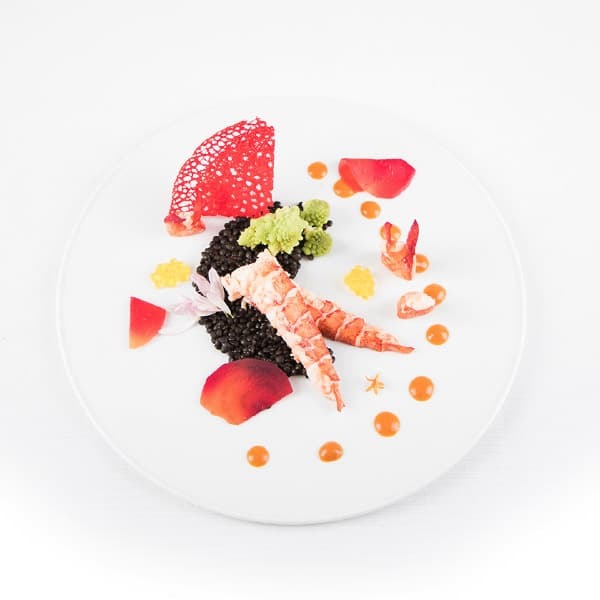 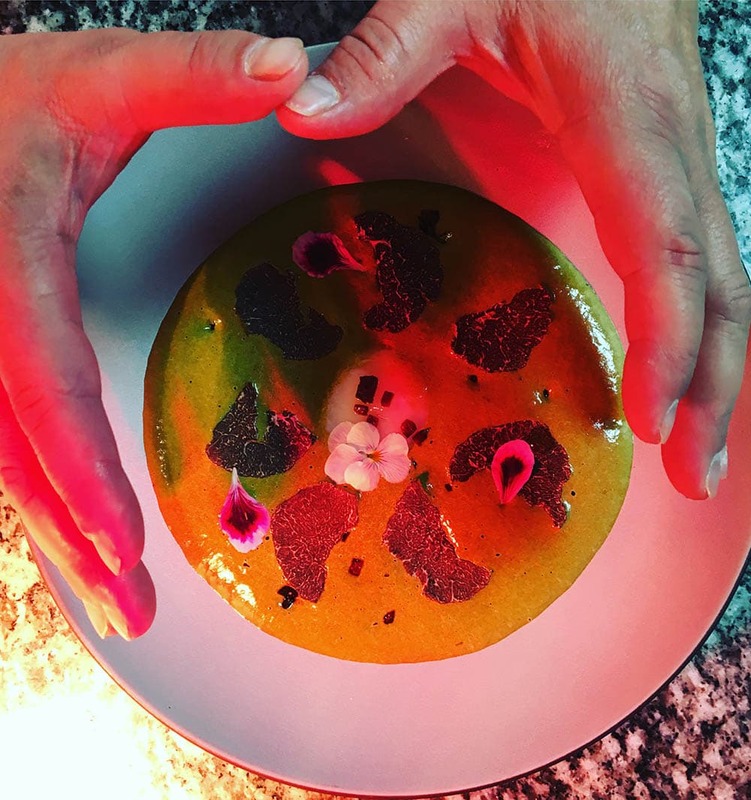 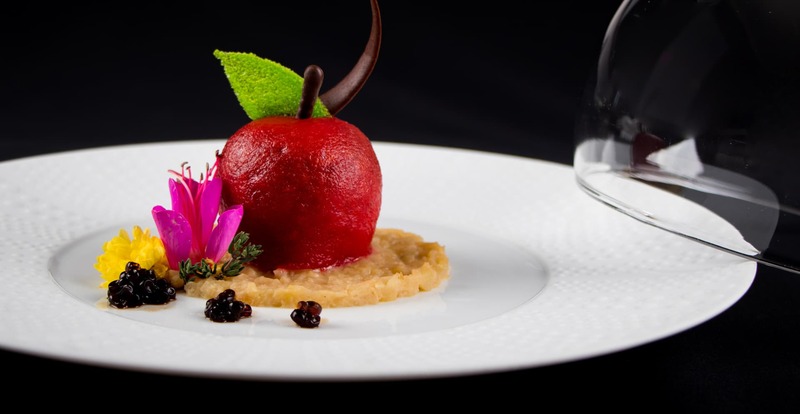 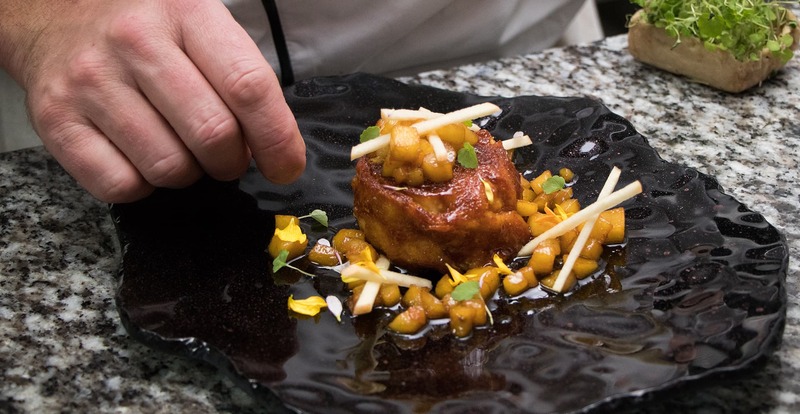 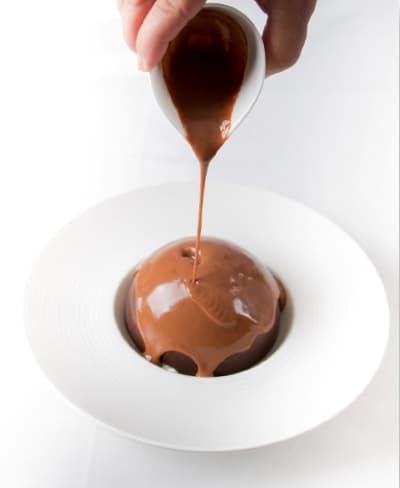 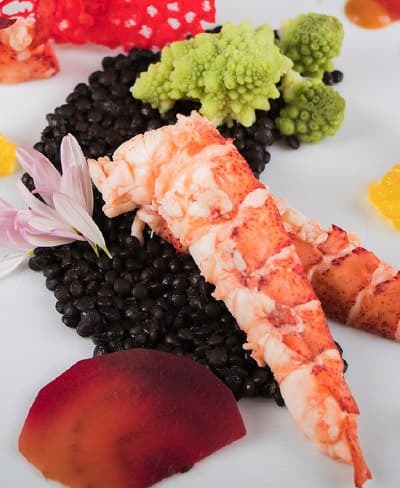 Chef Henrique Aguzzoli offers sublime, gourmet cuisine full of colour. 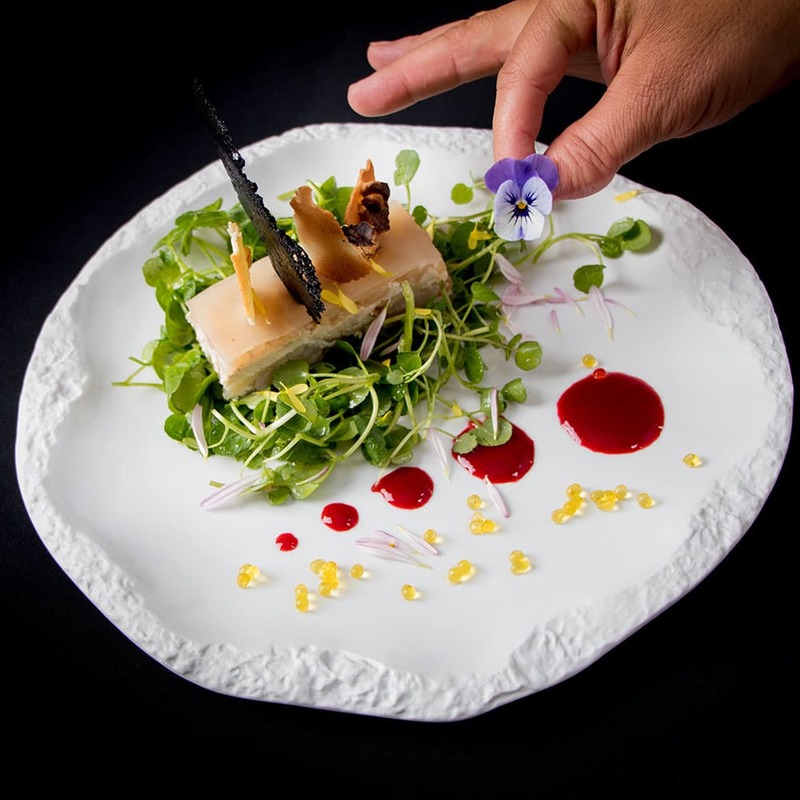 Combining the authenticity of high quality products with an original presentation on the plate, the Jardins du Léman team invite all your senses to the table! 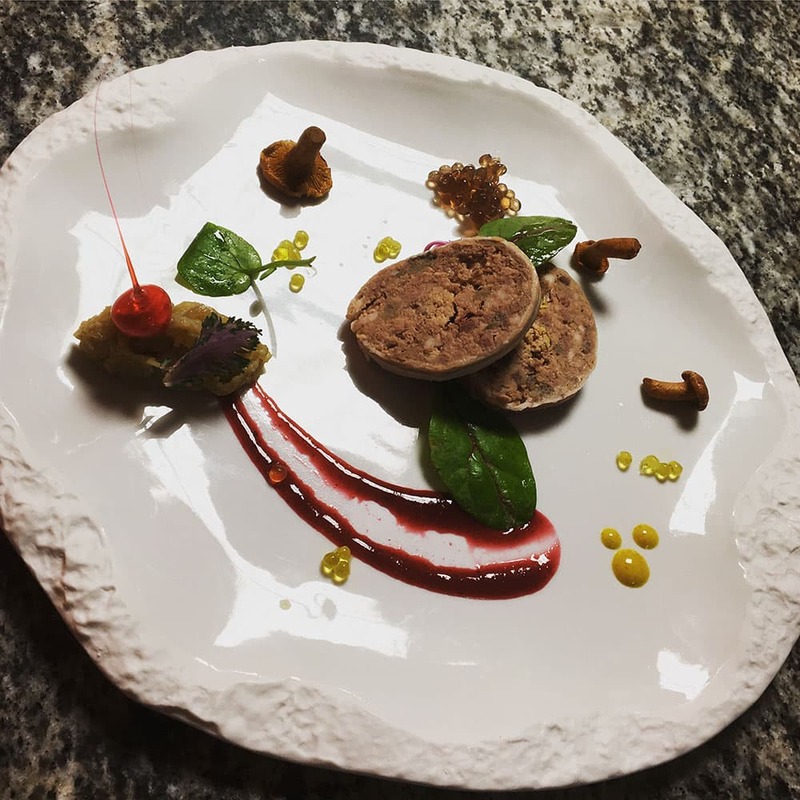 On the menu, Périgord foie gras with a Calvados apple chutney, accompanied by rabbit ballotine with Savagnin aroma and the famous veal sweetbreads with morel sauce... Our extensive wine list pairs beautifully with these dishes, offering you new discoveries. 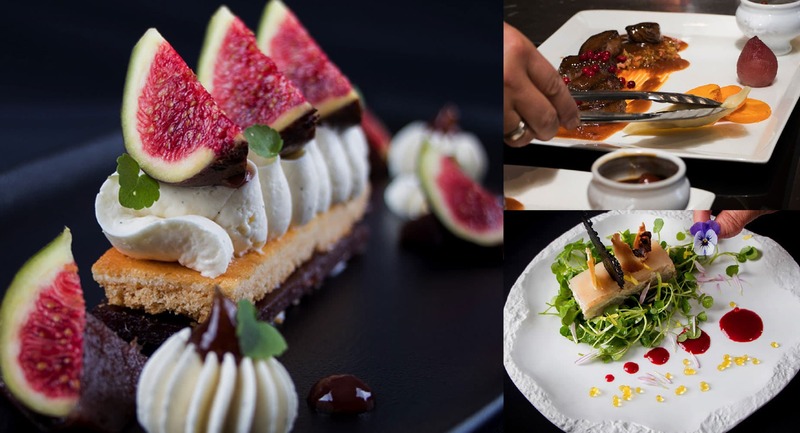 Mouth-watering delicacies served in a friendly atmosphere! 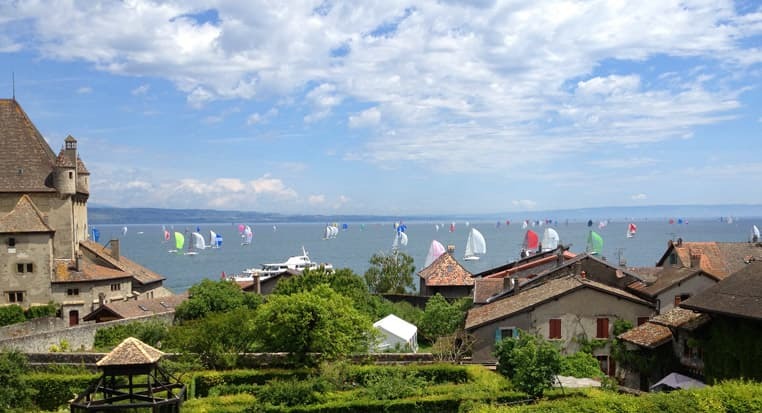 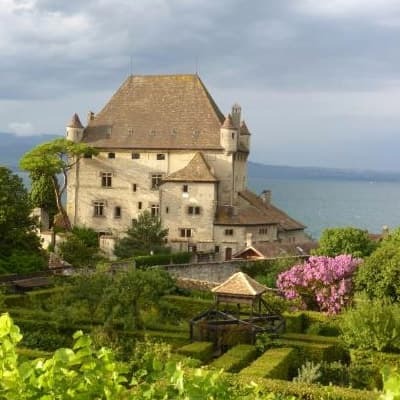 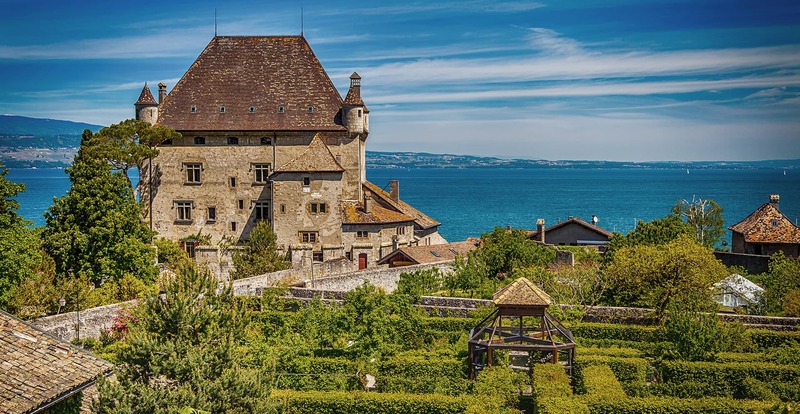 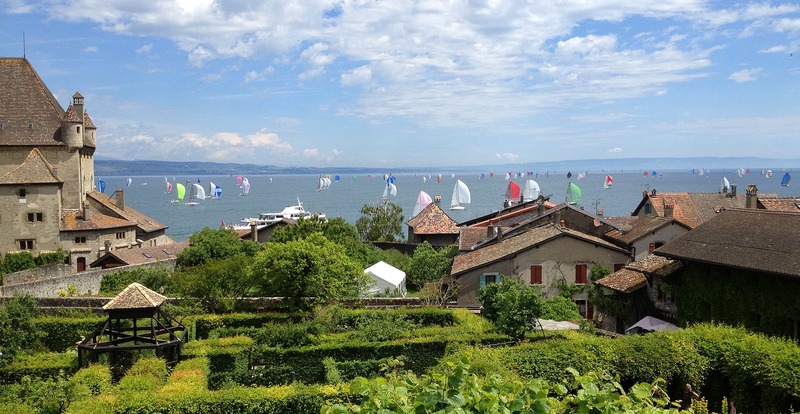 The undeniable asset of Jardins du Léman is its superb panoramic terrace, which offers a breath-taking view of Lake Geneva, the wonderful Jardin Des 5 Sens and the village’s medieval castle. 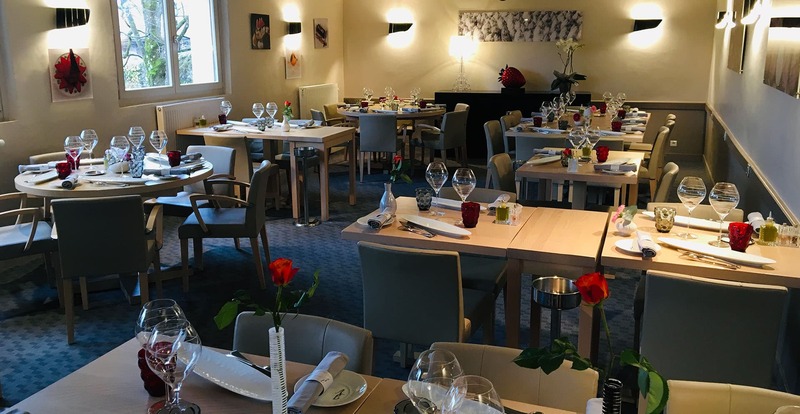 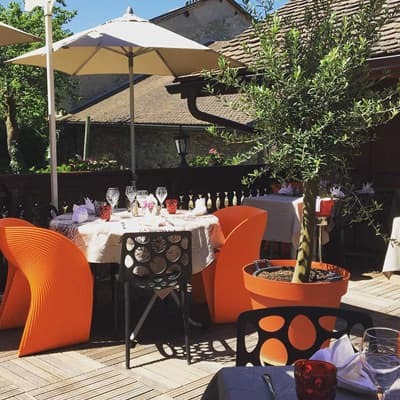 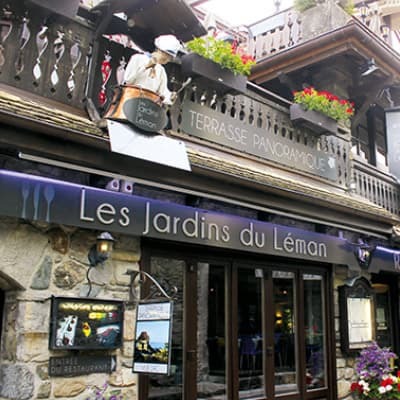 Ideally situated, the restaurant is on Grande rue, in the centre of the charming village of Yvoire, an ancient Haute-Savoie fishing village with over 700 years of history.